Dropbox is a really handy application that allows you to sync a file folder across multiple computers. 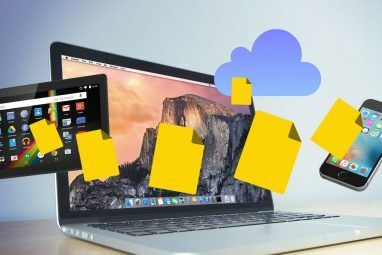 For the most part, Dropbox has gained a lot of praise for its usefulness and it has become a necessity for those who would like to access their cloud files on multiple devices. There have, however, been a few reports in recent months regarding privacy issues with the application, causing some concerns for users. What I’ve come to realize is that one of the simplest things you can do to keep your Dropbox data safe is to control where you have it synced. It would be safer, for instance, to keep your data with you on a USB stick than to have it synced on multiple computers at work, right? 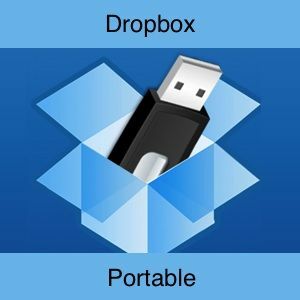 DropboxPortableAHK makes your Dropbox fully portable, making it so that you don’t have to save your Dropbox folder on every computer you use in order to access your data. With DropboxPortableAHK, you can save your Dropbox folder on a USB stick, giving you more flexibility when you are on the go. Also, this allows you to maintain multiple Dropbox accounts on the same computer if you like. Another potential benefit of using DropboxPortableAHK is that you can use it on office computers with restricted user privileges, which can be much safer than using administrative privileges to access your files. How Do I Use DropboxPortableAHK? Are you ready to make your Dropbox portable? The first thing you’re going to want to do is to insert your USB stick into your computer’s USB port. Now head over to the download page and get the latest version of the application. A ZIP file will download to your computer. Go ahead and move this file over to your USB drive and unzip it there. Then, run the EXE file that you just unzipped. When I ran the application, a box popped up stating, “Your Dropbox files are missing. Do you want to download them?” Don’t be alarmed if you see this message. Just click Yes, then Yes again if it prompts you to use the beta version (the second part is optional). DropboxPortableAHK will automatically download the files it needs and when it’s done the main options screen will appear. From here you can proceed in a couple of different ways. If you have a Dropbox folder or configuration options you would like to move or copy over to your USB drive, just tick the box that says Use previous dropbox folder and make your selections. The application will copy the files over for you once you click OK. If you would like to start the configurations from scratch, then you can log in with an existing Dropbox account. You can configure multiple Dropbox accounts this way. You’ll get a message informing you that your DropboxPortableAHK account was successfully set up once you’re done. If you run into any problems while using DropboxPortableAHK, be sure to consult the application’s FAQ page for a possible solution. 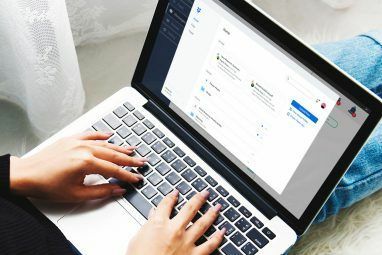 If you’re looking for more ways to take advantage of Dropbox’s capabilities, be sure to check out our other Dropbox articles here on MUO. 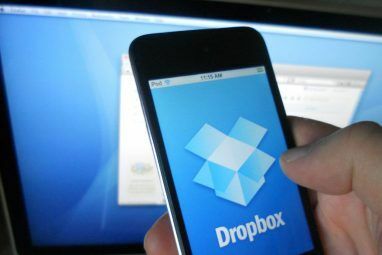 I really like the idea of taking my Dropbox everywhere with me, as well as being able to access multiple accounts on the same computers. I’ll be using this one for a while. Would you like your Dropbox to be portable? Explore more about: Cloud Computing, Dropbox, Portable App. Until Dropbox offer an official, supported, easily upgradeable Portable version, it's the best we have to work with. but why would you need a portable dropbox. one might not want to experience trouble of setting up dropbox everywhere each time! In many companies we don't have sysadmin rights and our IT guys don't like to install "on demand" any new toy. Thus, we need all as portable to be used !